October 15 - 17 Sales & Promos ~ Philippine Freebies, Promos, Contests and MORE! Planning to splurge this weekend? Then why don't you go and spend the right way by going where the sales and promos are happening so you can get more than you bargained for. 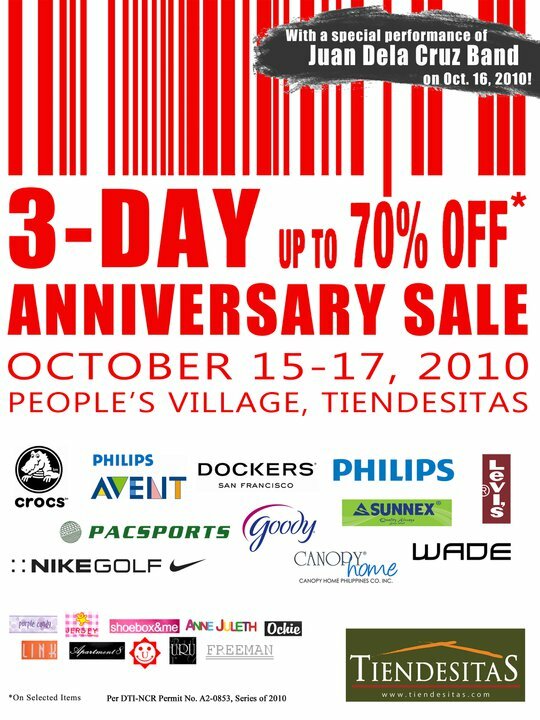 Here are some Sales and Promos I have compiled that are happening over the payday weekend, October 15 - 17, 2010. A smart shopper is a happy shopper!